While laser-based weaponry has its fair share of depictions and screen times in the realm of popular science fiction, the very design of a laser weapon is not as far-fetched as one would be inclined to think. To that end, different kinds of actual laser weapons are being tested on-board their varied platforms – ranging from ships, land-based vehicles to even missiles. So, without further ado, let us check out five such hi-tech laser weapon systems that already exist and may very well make their commercial military debut in the near future. There have some nifty military conceptions from Boeing’s defense and security division, included the patented plasma force field that nigh takes you to the Warhammer universe. But the HEL MD (or High Energy Laser Mobile Demonstrator) has advanced beyond its blueprint stage to actually account for a Directed Energy Weapon (DEW). 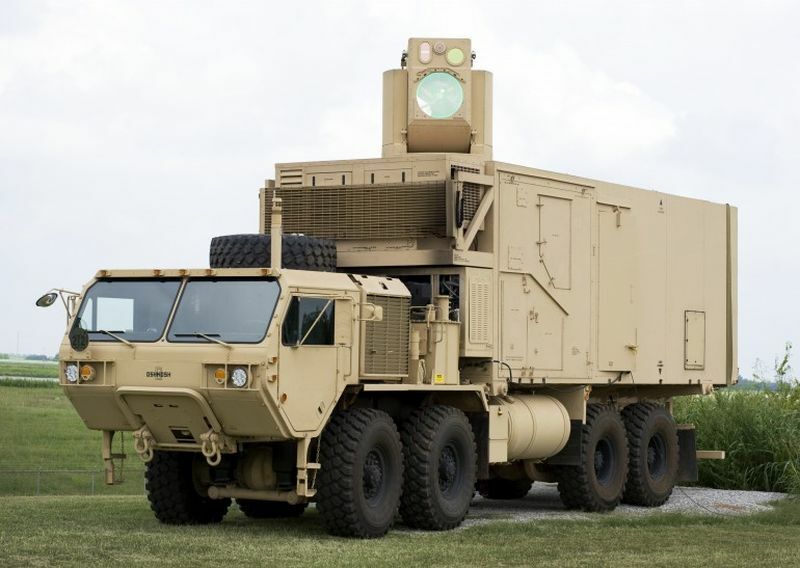 In simpler terms, the HEL MD is envisioned as a laser (photon) cannon that is mounted on a robust military truck, and it has the capacity to emit a 10-kilowatt energy laser. This pulse of energy can shoot down incoming missiles, thus alluding to a credible defensive system. Interestingly, the HEL MD laser cannon is designed in such a manner so that it can be controlled with an Xbox controller (especially for locking on to targets). As for the further progression of the laser weapon system, the scientists are looking forth to develop even a potent version of HEL MD that can emanate 50 to 60-kilowatt laser. These pulses will be powerful enough to dismantle high-range missiles and UAVs. 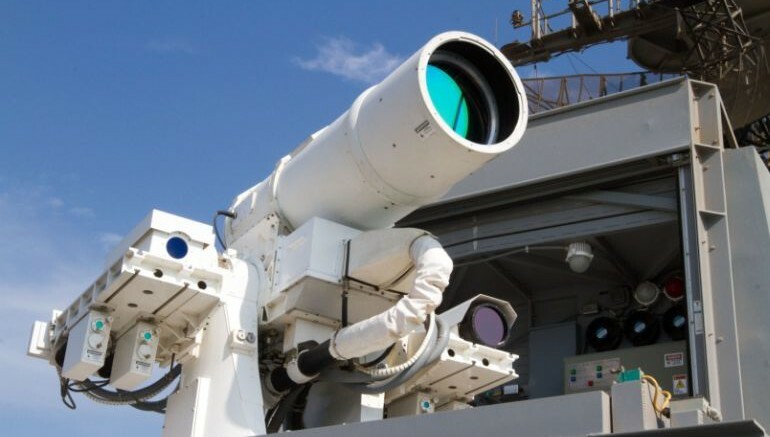 While US Army has dabbled with the land-based HEL MD, the US Navy has already tested out their unpretentiously christened Laser Weapon System (LaWS). Test fired from aboard the amphibious transport ship of USS Ponce, this $40 million prototype mechanism is designed to mitigate enemy UAVs by discharging its 30 kW photon beam. This robust laser beam is generated by collectively combining the apertures of six solid-state welding lasers, and then merging them onto a single point. Now, beyond just technology, there is a certain political angle to the LaWS mechanism. 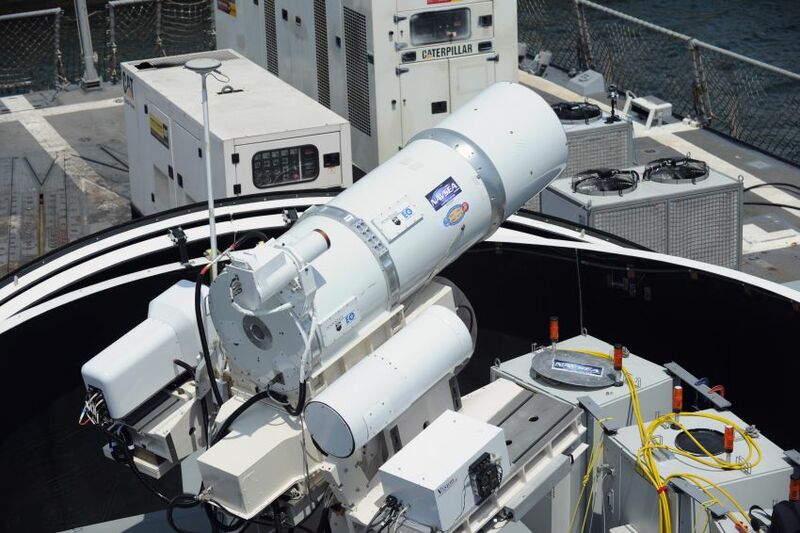 This laser weapon being mounted on-board USS Ponce allows the advanced prototype to see service in the unstable region around the Middle East, with the ship performing its patrolling duties in the disputed Persian Gulf. Moreover, the real-time data and experience gathered by the system is planned to be used for future weapon systems – that could be designed by renowned firms like Northrop Grumman and Raytheon. Lockheed Martin of the F-22 Raptor fame had joined the advanced weapons fray, with their laser-based ATHENA (or Advanced Test High Energy Asset). Envisioned as a 30-kilowatt fiber laser weapon system, the contraption was ceremoniously field tested in March of this year. 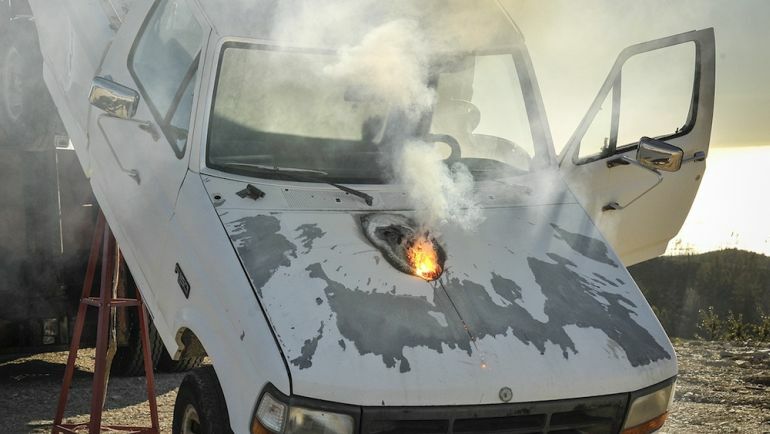 The resultant demonstration showcased how the weapon’s photon beam could literally blaze through a small truck’s hood and then fry its engine. And this robust laser could be emitted from a substantial distance of over a mile (or 1.6 km). Fiber-optic lasers are revolutionizing directed energy systems. We are investing in every component of the system – from the optics and beam control to the laser itself – to drive size, weight and power efficiencies. This test represents the next step to providing lightweight and rugged laser weapon systems for military aircraft, helicopters, ships and trucks.